OTO Melara goes aboard the Musa Bin Nasir and Tariq Bin Ziyad corvettes, as part of an agreement being finalized between Fincantieri and the Iraqi government. The vessels will be equipped with 76/62 guns, one of the most successful solutions of the company. 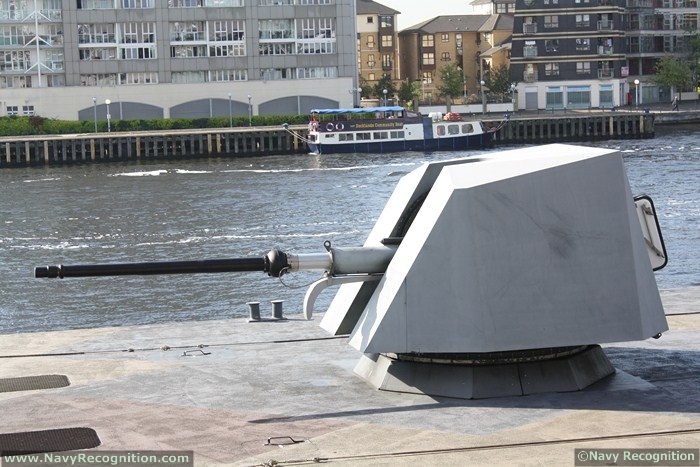 The 76/62 Super Rapid (SR) Gun Mount is a light weight, rapid-fire naval gun providing unrivalled performance and flexibility in any air defence and anti-surface role, particularly in anti-missile role. Capability for very effective engagement of shore-based targets is also provided for unique multi-role performance. The 76/62 SR is suitable for installation on ships of any type and class, including small naval units. OTO Melara is a world leader in design and production from small- to large-calibre naval guns, with R&D capabilities ranging from naval guns to conventional and guided ammunition, from artillery to turrets, from missile launchers to airborne armament.